Eric Hodges: I first shot photos when I was 10 years old or so. My father had a Minolta 35mm camera. I didn’t shoot much then. I did some more when I was 14, but nothing serious. I’ve only started to be more serious in the last couple of years. You made four trips to Peru over a six-year period. That is a lot of trips to make to one place. What about Peru kept you coming back? It’s beautiful to get up in the high mountains and not have many people around. These mountains in Peru are some of the best in the world. You obviously had to climb in extreme (snow) conditions at very high altitudes to capture these spectacular images. Describe your thinking as you were deciding what kind of camera & equipment you had to bring and how. The snow conditions were generally very good, although I did run into some deep snow one year on Chopicalqui. Conditions on Alpamayo were perfect last year. On all my trips I brought small cameras. On the last two trips I brought small cameras (Fujifilm X-E1 and Sony A7R) that have very high quality. It’s hard enough trekking and climbing at altitude, so I wanted to go as light as possible but still have high quality gear. I often had a guide carry extra gear for me on the trek last year. The climbing guides, however, didn’t want to risk carrying my gear, so I had to bring everything I might need to high camp on Alpamayo at 5400m (17,716 ft.). I ended up not using that extra gear, but it was safer with me than at base camp. What did you like the most about shooting in Peru? What did you like the least? What I liked the most are the mountains, which are fantastic. What I liked the least are the “roads” off of the main highways which are terrible. They are unpaved and the rocks are very large. Your Peru images have often been selected as “Editor’s Picks” by many well-regarded photography organizations. In addition, they were recognized as the best in the Nature Macro Collection in this year’s See.Me’s Exposure Award contest. This is an international photography competition. Congratulations. What was your first reaction when you heard the news? It was great to be shown with good photographers in a contest. There are many photographers with great work that I enjoy. With these Peru images I was not thinking of any in particular. I worked to capture the landscapes in a way that I thought would work best. I’m sure the work of many people has been imprinted in my mind. With landscape photography, I enjoy making images of high impact and peak moments with interesting compositions. 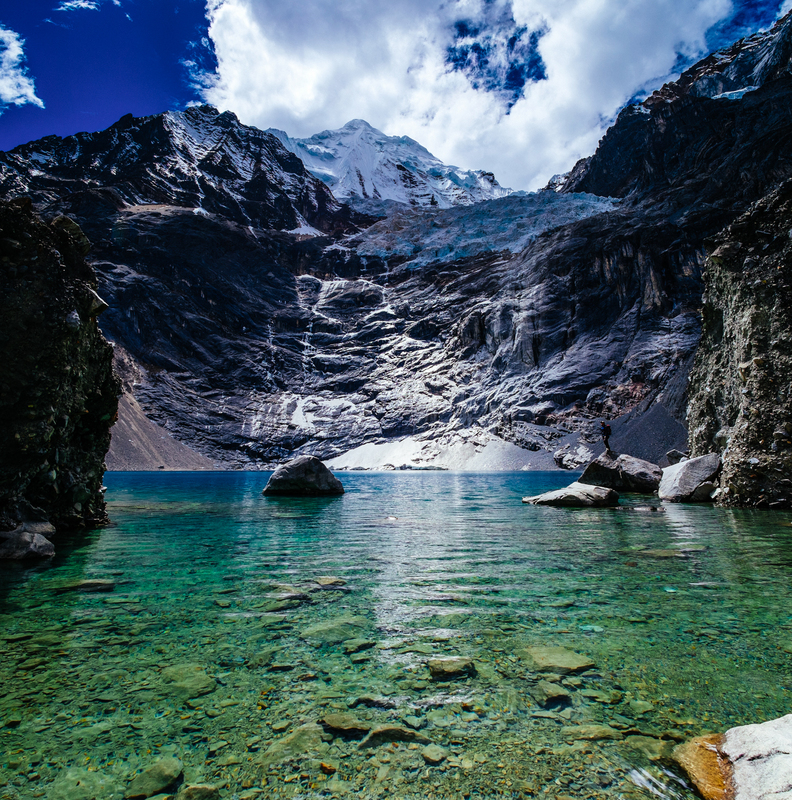 Your Peru images are brilliantly composed and have a timeless quality about them. Can you give us some background on these images? This is Sunrise Over Llanganuco Valley V2. Taken from around 5300m (17,388 ft.) on Yanapaccha, Cordillera Blanca, Peru. This is a four image panorama. 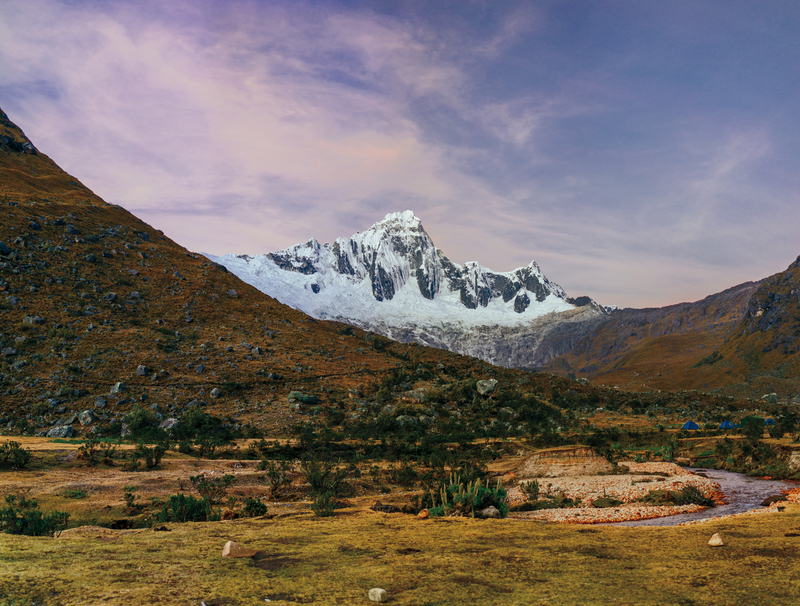 To get to this mountain, one takes a three hour drive from Huaraz and then one has to hike in from the road for two hours to the base camp. This mountain is not too high, so the alpine start to climb it is at around 4 or 5 am. The image was made just before the technical ice climb to the summit. Three climbers watch the sunset from the col between Alpamayo and Quitaraju at 5400m. Cordillera Blanca, Peru. This is the view that is opposite of Alpamayo. There is a large open bowl between the two peaks. It’s a very cool place to camp. Often the camp is on the col between the mountains that is visible in this photo. This image is a large panorama. This image gives a feel for high camp on Alpamayo at sunset. This one is Taulliaraju 5830m (19,127 ft.) from Taullipampa. Cordillera Blanca, Peru. A large panorama, this image was made after trekking for many days on the way to Alpamayo. Most of the people at this camp site were trekking on the Santa Cruz trek which is about 5 days long. Taulliaraju is a beautiful peak. This is the view from camp after going over Punta Union (a high pass). If you have one piece of advice for a novice photographer, what would it be? Coming up with one thing is very difficult. There are many things that one needs to consider. I suppose you could reduce the process to ‘find a great subject/composition and then make a great image,’ but there are many considerations that go along with this approach. Beginners need to learn how a camera works, study art history for composition, and then get out and shoot. On the other hand, there are no rules, but it’s difficult to just shoot anything interesting without knowing some things. For more information about Eric, click here. All images © Eric Hodges.